- This car was a gift for my friend who asked me for a custom car to use in the split screen mode with me, he chose the name, the colors, and told me to make it with the same shape as the Infernus from GTA San Andreas. - This car is based on "Honda NSX 1990". 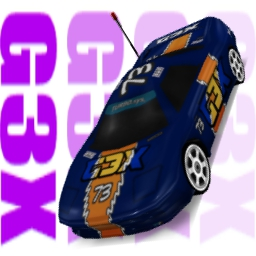 UPDATED: new body.prm by fr13ndz0n3dguy, added shadow, better shading, and added 2 new skins 1 by fr13ndz0n3dguy and another one by me based on the original idea I had for this car.